The project is to address the soul sickness/soul separation in our communities. Our programs focus is towards Traditional Medicine/ Self Care. We have been shattered with this epidemic of addiction. 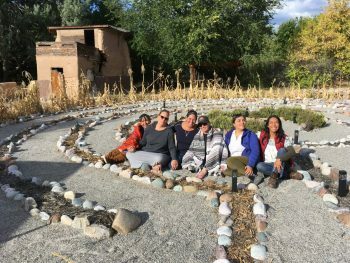 Bringing support to the individual struggling with addiction, offering support to the family, and the re-engage of community, re awakening “Querencia” was the only way we could begin to heal. Providing these services offers the resiliency support needed to heal 7 generations back and 7 generations forward. A healthy individual body, mind, and emotion, strengthens their family, a united family rebuilds community and with a healthy community anything is possible.